You can’t beat my writing spot today. 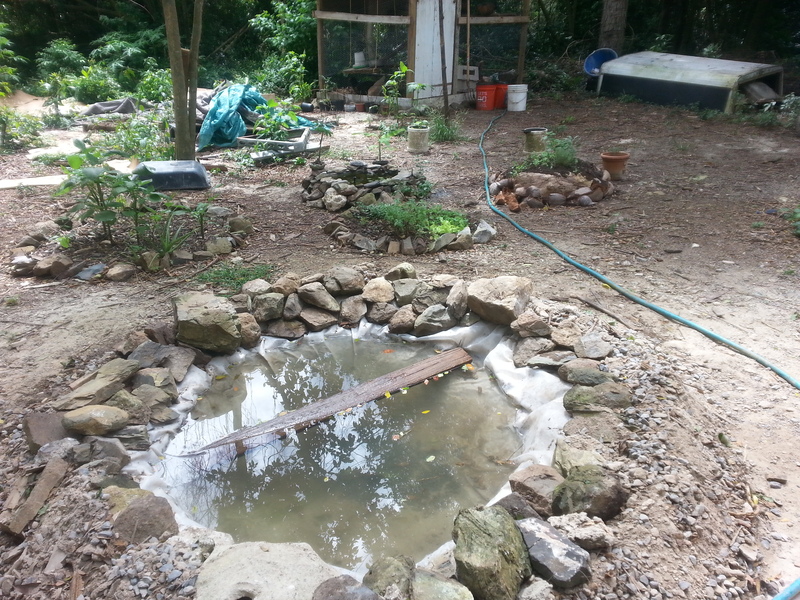 Sitting in the pallet swing, suspended by a giant Saman tree with a view of my tiny house, a solar-powered pond pump gently burbling to my left, surrounded by herb-garden circles and mounds that I’ve been gradually creating. It’s a breezy afternoon with clouds scudding across the intensely blue sky, a few drops of rain entice me to plant seeds, and they cool Edwin where he lays sunning his belly on the doorstep. The hens cluck occasionally, sleepy in the mid-day heat. With some regret I bring myself back from my ramblings of surround to what I am supposed to be sharing with you this day. 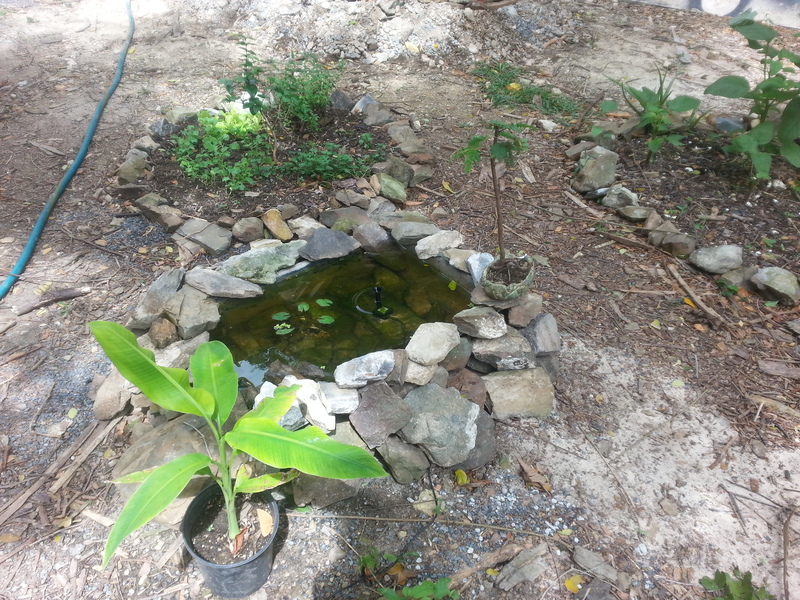 It has been an exciting week, for we had our first roadside market stand, here in our little rainforest oasis. It was a resounding success, with a glorious array of breads, chutneys, preserves, sweets, snacks, greens, fresh eggs, and more, so we’ll be making a weekly “thing” of it. Come by and see for yourself, next Wednesday form 2:30pm until dusk. If you’re not familiar with our location, simply follow Mahogany Road up from F’sted beach for 1.3 miles, and you’ll see us on the left-hand side a little past the Lawaetz Museum sign. 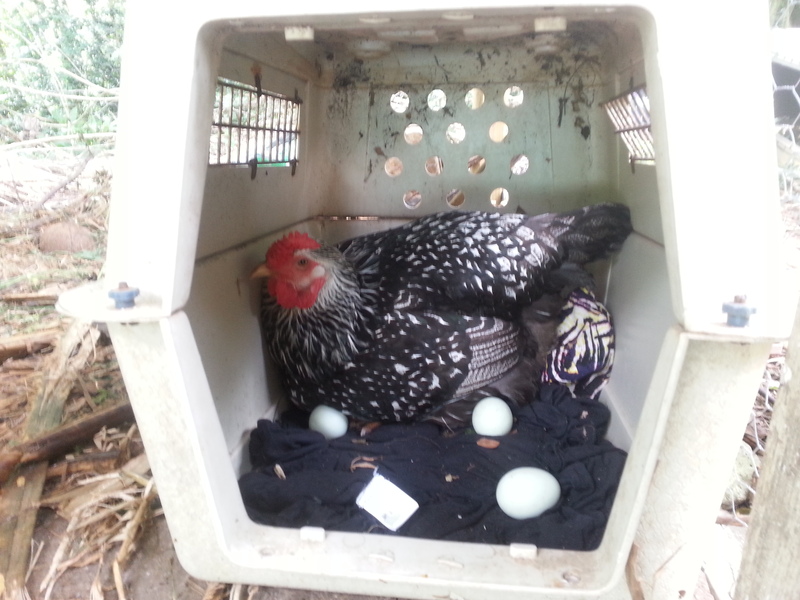 The eldest hen checking out their new nesting box (an old re-purposed pet carrier). Eggs are now available by the half dozen or dozen, as supply allows. Our happy hens are almost all laying by now, and soon I’ll be putting my oldest hen to play mother and hopefully hatch out a new batch of chicks – if you’re on St Croix and wishing to start your own flock of layers, let me know – they are fun and useful animals, if you have the time and resources to care for them. This Wednesday’s special from the oven will be wood-fired cinnamon rolls, available for pre-order, a tray of 6 rolls for $10. We’ll also have some available at the farm table for individual purchase. Our Flambeéd Banana Preserves are going fast! On vanilla icecream, crepes, a spoon, or a gourmet PBJ sandwich, you just can’t go wrong with the amazing flavour of bananas, spices, citrus, and rum. Stop by our Wednesday market for a jar, or get some from Cruzan Gardens Tue-Sat at the FarmStore. Mandy finally returned from her latest trip to Haiti, and is already preparing for her next trip there, a voyage by sea less than a month from now. There’s rarely a dull moment around here, due to our crazy habits of doing a million things at once…like the coffee morning that we’ve just scheduled for Sunday, March 15th! 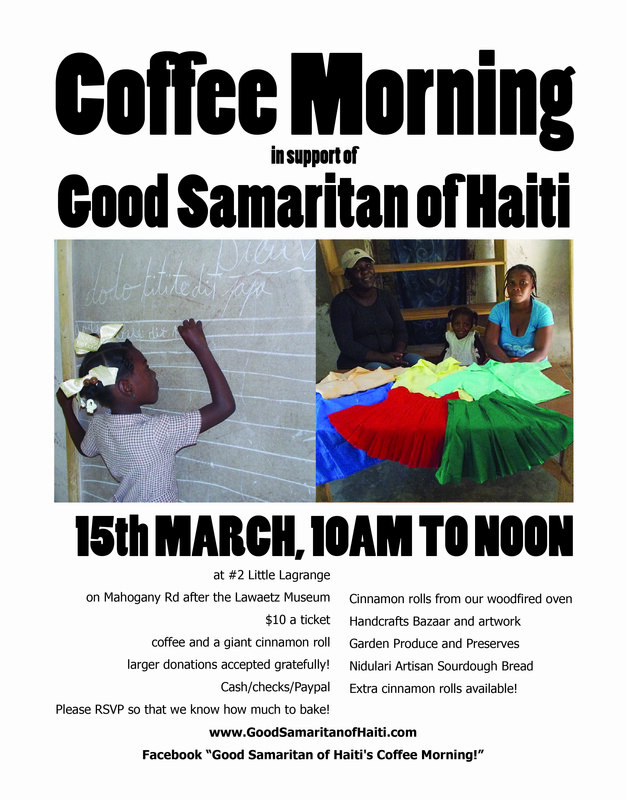 We’ll be serving freshly baked cinnamon rolls and hot coffee from 10am-noon for a modest donation of $10, directly profiting Good Samaritan of Haiti Foundation inc. We promise it’ll help with your St Patrick’s Day hangover! We’ll also have a table of Haitian crafts for sale, Mandy’s ceramics, and Nidulari products. Please, please come, and invite your friends to join you at this relaxed morning event. GSH does very important work in several rural communities in Haiti, running two schools, scholarships, a micro-credit program, and so much more. These programs are run incredibly efficiently on an extremely small budget, so every little bit helps! There were supposed to be a lot more photos this week, however, they don’t want to upload today. 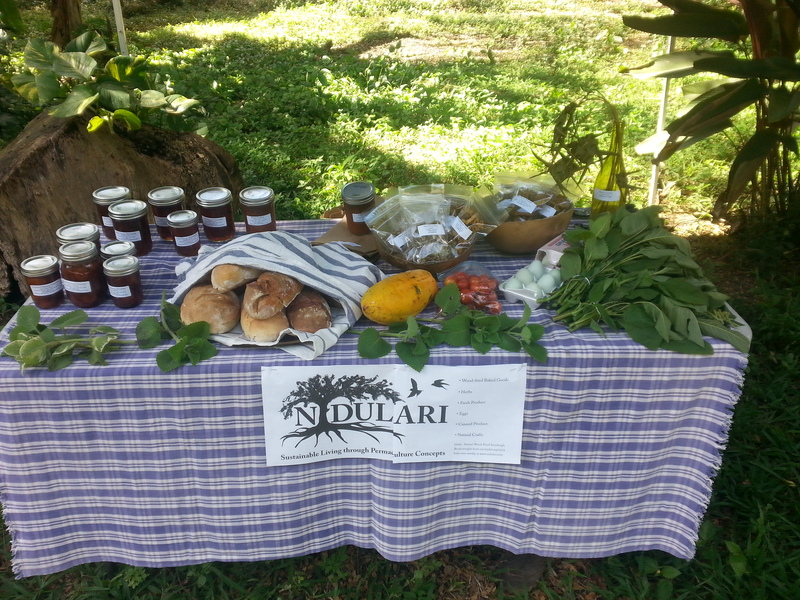 Keep an eye on our Facebook page “Nidulari” to see the extra photos throughout the week! We hope that you’ll come by and see the farmstand this week, but if you can’t make it out, don’t forget that you may place your orders for pickup at Cruzan Gardens, or you may go to Prime Produce online to place an order for pick up in C’sted. Cheers!